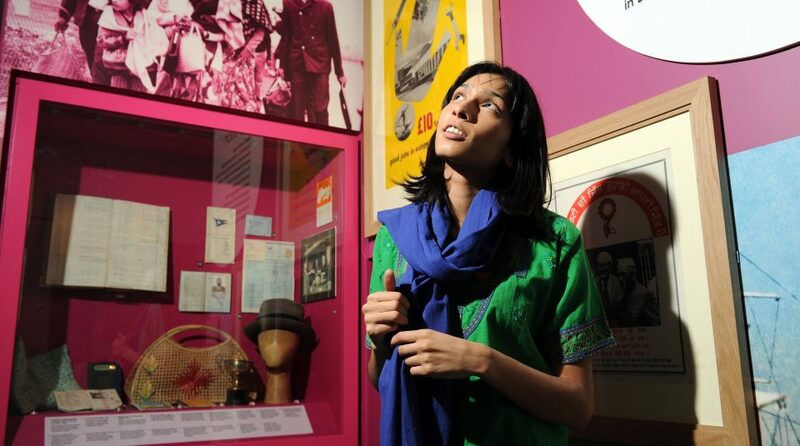 Meet Anita Sharma at school in Manchester in the 1960s. Find out about her summer holiday trip to India with her parents who were born there. Follow her journey to adulthood as she explores her identity. Our Living History workshops use performance, interactive drama activities and gallery exploration to bring learning to life. Our sessions provide lots of opportunities for cross-curricular learning and link directly to the National Curriculum. Risk assessment Please use to help create organisation risk assessment. Many of our sessions are suitable, or can be adapted, for learners with special educational needs and disabilities (SEND). For further information or to book a session you can contact the Learning Team on learning@phm.org.uk or 0161 838 9190. Our sessions take place in our purpose built Mini Theatre space in Main Gallery One. This gallery is open to all our visitors during sessions. Whilst we endeavour to keep any external noise during a performance to a minimum, please be aware at times there may be external noise from other visitors in the galleries.